Greenwood Heights is a neighborhood in Brooklyn, situated between Park Slope and Sunset Park. It’s a preferred option for those who want to move from some of the high-priced NYC neighborhoods. 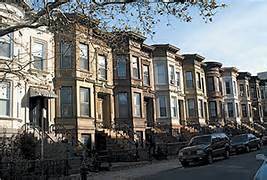 Real estate in Greenwood Heights includes wood-frame rowhouses, apartments, renovated condominiums, traditional brownstones and many of them offer amazing view of the bay and Manhattan skyline. Due to great public transportation services, each area in Greenwood area is easily accessible. Young couples with children are likely to move there because of the great position and variety of natural resources – waterfront district, Prospect Park, Sunset Park,… One of the advantages of the neighborhood is that it is not congested and overcrowded like most of NYC neighborhoods. It is relatively quiet, neighbors are very friendly, so it is likely that moving to Greenwood Heights will be a smart decision. Being a local moving company, Dumbo moving and storage has performed a lot of moves in the area and Dumbo movers know perfectly the streets all around Greenwood Heights. Dumbo professionals are familiar with the area and they can give you some useful tips regarding your new neighborhood. Luckily, moving industry in Brooklyn is very developed, so finding suitable moving company shouldn’t be a problem at all and Greenwood Heights movers will be able to provide quality moving services for sure. However, being resident of a big city you run a huge risk of getting scammed by dishonest movers who tend to get as much money from you as they can. That being said, it is absolutely necessary to take this task seriously. Finding reputable moving company is a long process of researching, collecting and comparing information,…Only after you have found out all necessary details you can make decision and choose suitable NYC movers. When looking for decent movers, a recommendation from a friend or relative could be really helpful. Their positive experience can encourage you to make the best possible choice. Furthermore, if you are doing your research online, there are plenty of reviews available on the internet that can help you avoid fraudulent moving companies. After considering factors like moving estimate, reviews, movers’ experience, general terms and conditions of the company you will be able to pick suitable moving company.